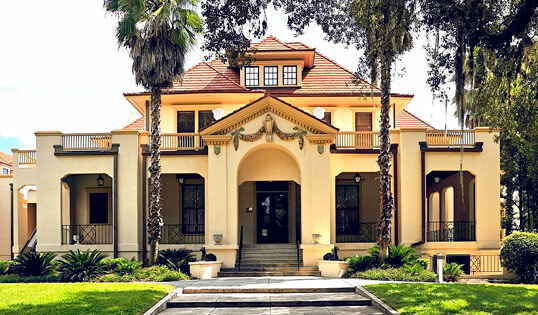 Discover the Thomas Center ─ an elegant, historic building that dates back over 100 years. Originally a private residence it evolved into a hotel, then a community college, and now is a cultural events center for the community. The Thomas Center Associates, Inc. has as its mission support for the Thomas Center and its gardens. Our all-volunteer group, through membership participation and financial contributions, supports on-going programs and events at the Center. Spring Promenade 2019 will be held on Saturday, March 9 from 10 a.m. to 4 p.m. This year the tour will include 6 Duckpond neighborhood houses and Sunkist Villa, the home of the W.R. Thomas family that, many years later, became the Thomas Center itself. 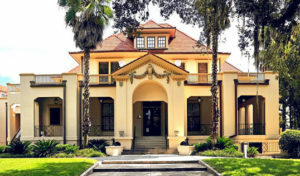 Learn about this 1910 mansion that remains a jewel of this Gainesville’s historic neighborhood. Promenade is a fund raiser for Thomas Center Associates that helps us maintain and enhance the beautiful Thomas Center garden and other TCA projects. Tickets are $20 and can be purchased at the Thomas Center from 9:45 to 2:45 on the day of Spring Promenade.